Clark County officials are using a website to crack down on illegal fireworks in the Las Vegas valley. Several hundred people have already submitted tips. 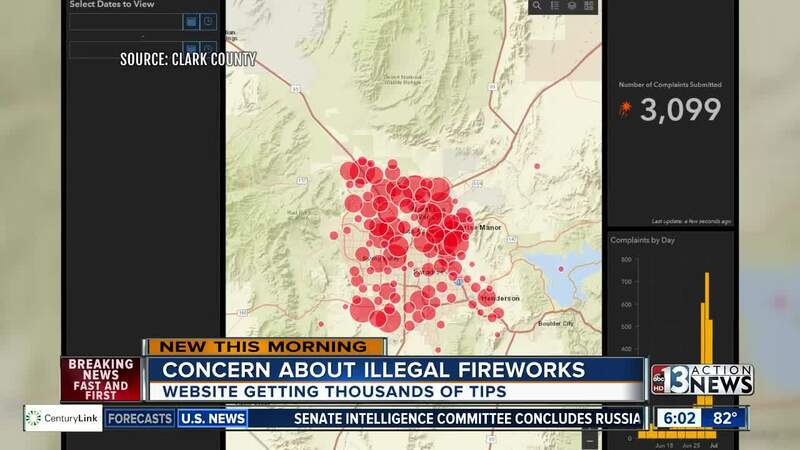 UPDATE JULY 5: Clark County is reporting the number of illegal fireworks complaints rose almost 5 times from 5,000 Wednesday evening to nearly 25,000 Thursday morning. There were 24,895 complaints filed on ISpyFireworks.com. The total number of citations has not yet been released but is expected by Friday. UPDATE ON JULY 4: As of 6 p.m. on the 4th of July, Clark County officials say that they've received nearly 5,000 complaints about illegal fireworks. The County would also like to remind residents not to call 311 or 911 if they see illegal fireworks, but to report them at ISpyFireworks.com . 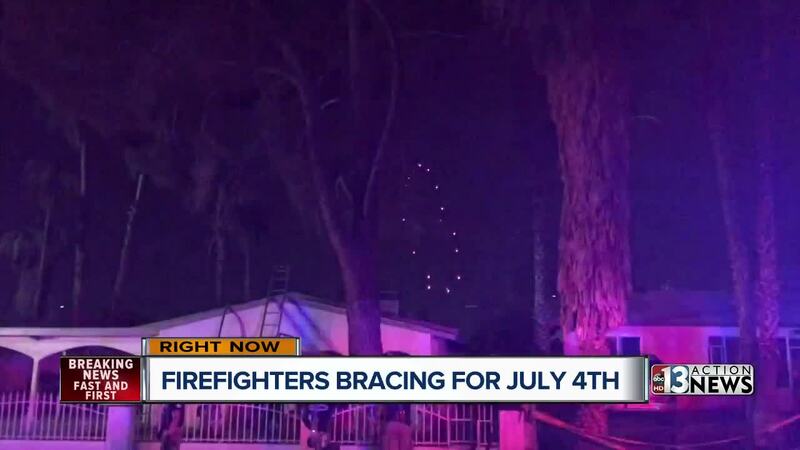 Most of us enjoy seeing the sky light up with fireworks on the Fourth of July, but what we don't want to see are the flashing lights of fire engines responding to blazes or other accidents because of dry conditions and carelessness. Independence Day 2017 was particularly rough for Las Vegas Fire and Rescue. Incredible video shows a Fourth of July fire investigators believe was started by illegal fireworks. Even as firefighters worked to put it out; fireworks were bursting over their heads. James Hall has lived in the neighborhood near Eastern and St. Louis avenues for a decade. His home is across the street from the two homes that caught fire. Hall said typically long before the holiday things would get popping, literally. "In previous years you would hear it on the first of July, the second, the third." Every year he's been worried that sparks would fly and ignite, especially with all the palm trees around his home. "Oh absolutely. Absolutely. I'm always concerned. Every year. you know because it's so easy for things to catch fire." Las Vegas Fire and Rescue Spokesman Tim Szymanski said calls about illegal fireworks overwhelmed his department las year. "Last year was probably the worst we've ever seen," said Szymanski. So much so that a new website ISpyFireworks.com was set up to handle complaints. He said already there have been more than 3,000 complaints so far. He said the city's east side is where complaints are most frequent. "There's a lot of people that like fireworks, but 50 percent of the people don't because they either got pets, they got post-traumatic stress problems," Szymanski said. "We're going to be out here and watch," said Hall. "Especially those fireworks that go up in the air and fall wherever they might fall."